Joy Campbell painting a day: "At Crystal Pond"
This painting is 12"X9" oil on hardboard.. 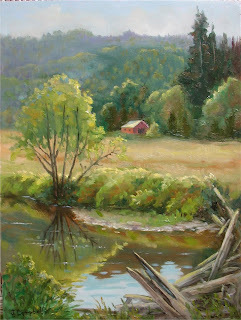 I painted it plein aire at this wonderful location. Below my feet were hundreds of huge salmons just lazing around together.